Domain Technology Group (DTG), the sister company of Domain Consulting Group, performs IT security audits and assessments to determine a business’ IT security risk level. The firm makes recommendations to optimize a company’s infrastructure and then continuously monitors the systems for intrusion attempts. DTG implements security measures to protect all elements of a computer network (i.e. smart phones, tablets, notebooks, workstations and servers, and firewalls). Protecting a business’ system is not a once-and-done event. Cyber-security is an ongoing task requiring constant vigilance. Hackers are committed to infiltrating systems on an ongoing basis. They are smart, inventive, well-funded, and patient. Many of the intrusions are sponsored by nation-states such as China, North Korea, and Russia. Therefore, your defense mechanisms must also be ongoing, updated constantly, and re-engineered in order to stay ahead of intrusion and hacking attempts. Think you are too small to be of interest to the bad guys? Think again. You are a gateway to larger companies. Many of the recent hacks and intrusions began by infiltrating poor security and weak passwords of small subcontractors or low-level employees leading to access of higher-level account access. Target© was hacked by initially gaining access to the company’s sub contractor’s account. Amazon© was hacked by gaining access to their network through lower-level employees utilizing weak passwords. At this point, we must all assume we are targets and defend ourselves against intrusion. In many cases, securing a network begins with common sense, well-known security measures such as utilizing strong passwords, and patch control. Yet many firms lack the discipline and oversight to implement, maintain, and monitor their system, leaving them open to cyber security threats. 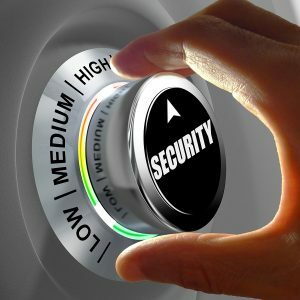 Tight cyber security requires definition of a well-thought-out security strategy and implementation of the measures necessary to maintain a secured network to beat back intrusion efforts. In order to secure a business’ network, Domain has developed a four stage approach. Click here to read about Domain’s four stage approach to cyber security. Click here to learn why cyber security is a board, owner, and chief executive level issue.